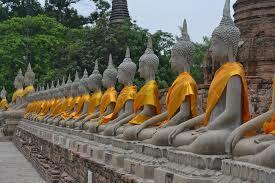 Chiang Rai Airport Car Hire - Cheaper Chiang Rai SUV, MPV and Minibus hire with GPS. Book cheaper car hire in Chiang Rai, from our four quality suppliers, who also offer larger vehicles, like seven seat Fortuners and ten, or twelve, seater minivans. 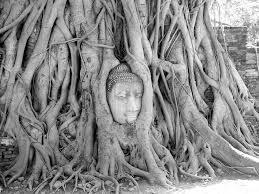 Book Discounted vehicle rental in Chiang Rai, Thailand, using only these suppliers:- Sixt, Thai Rent a Car, Hertz and Budget, where the latter two come with zero excess insurance. Choose from a Toyota Hilux Single or Double Cab. We also offer a wide range of car types: Estates, saloons, hatchbacks, budget cars and executive, Sporty, Luxury and MPV. Chiang Rai is in the 'Golden Triangle' being bordered by Myanmar on the North and Laos on the east. 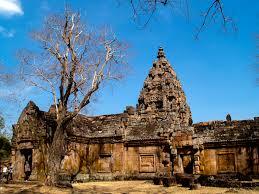 Founded in 1262 by King Mengrai, it is one of the oldest towns in Thailand. This part of Thailand is know for its glorious mountain scenery, local hill tribes. Chang Rai was the first capital of Lanna, a million rice fields. The Golden Triangle, 8kms north of Chiang Saen, is where the borders of Thailand, Myanmar(previously know as Burma) and Laos, meet. 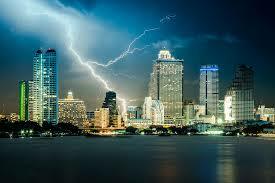 Worthy of a visit with views of the Mekong River and the remarkable mountain scenery of these three countries. Visit the hot mineral spring with temperature of over 100 degrees Fahrenheit. be warned they are not for bathing in. These springs are full of natural minerals. Take some back and try in your hotel bath room. Thais love their elephants and trekking by elephant will let you see the indigenous tribes of the Karen, Ackha and Mien hill tribes. The Opium Museum at nearby Sop Ruak, shows the tools used in the production, plus the ill effects caused by its use. Well worth a half day, the remainder of which could be spent on a relaxing boat trip down the Mekong. Mountain bikes can be rented locally, allowing you to cycle in the natural beauty of the surrounding mountain landscape. Many trails are available to follow, or bring a guide along. Lower prices hire an SUV at Chiang Rai Airport. Discounts on minivan rentals and MPVs in Chiang Rai. Always rent your Single, or Double Cab, early.. 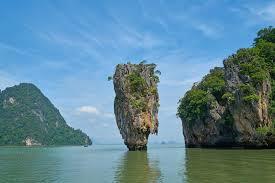 Global Positioning Systems is must in this part of Thailand as some parts are very remote. It comes in English and other languages that can be spoken, but the map only has a choice of English or Thai wording. We also advise bringing a good road map. Asking and receiving directions in Thai is not easy as it is a tonal language, so you may thing you can speak it, but no one may understand you. We also advise booking the Fortuner 4x4 SUV, if you intend to explore the surrounding steep and rugged mountains. However, drive carefully and going on dirt tracks should be avoided, to avoid damage to theunderside of the vehicle, as this invalidates the insurance. 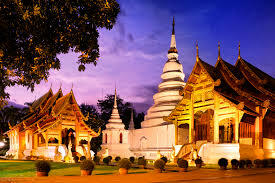 Asia Thai Airways operate daily flights to Chiang Rai. By bus, ensure that you request the air con bus service as the journey can take upto 11 hours. Buses leave from the north bus terminal at Kamphaengphet 2 Road Bangkok. By train. There is no direct service to Chang Rai, but you can get the train to Chiang Mai and then an onward bus of approx two hours to Chiang Rai. With so much to do and see, and quiet roads, a hire car in Chiang Mai is recommended to really appreciate this beautiful part of Thailand. Need a pickup truck in Chiang Mai?